MANDALAY, Myanmar (CNS) — Catholic clergy and laypeople have been expelled from Myanmar’s northern Shan state by a China-backed ethnic minority army. Two Salesian priests, three nuns from the Missionary Society of St. Paul and three lay teachers were ordered by the United Wa State Army to leave the Wa Hills, which border China, reported ucanews.com. Salesian Father Raymond Than, one of the expelled who arrived in Lashio town Oct. 15, said that, three days earlier, Wa officials issued the expulsion order for clergy who arrived in the region after 1992. They were only allowed to take what they could carry and were told that a local boarding school and chapel were being cordoned off, Father Than told ucanews.com. Local Christians were being forbidden from worshipping, even in their own homes. The clergy and laypeople had been providing education and health care services for locals and had not done anything wrong, said Father Than, who has served in Wingko parish since 2016. “We are not problem-makers,” he added. Some Wa officials and their Chinese allies believe that several Christian groups contain members aligned to U.S. intelligence organizations. Wa officials indicated there was no chance the expelled Christians would be allowed to return to continue their mission activities. In late September this year, a priest, five nuns and six lay teachers were expelled. 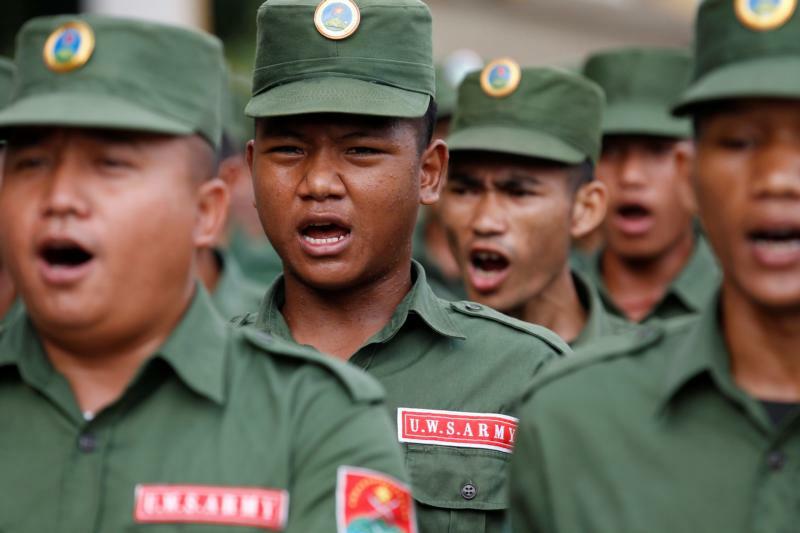 Since Sept. 13, the United Wa State Army — which grew out of the Communist Party of what was formerly known as Burma — destroyed churches, detained pastors and closed religious schools. In Wingko parish, since 1996 Salesians have run a boarding school where, from Grade 1 to matriculation exam level, more than 50 students were enrolled. Most were ethnic-Lahu Catholics, but there were also some non-Christian members of the Wa ethnic group. Father Than said arrangements had been made for the students to attend a government-run school. “We will continue to provide food and school expenses of the students,” the priest said. Wa officials invited the church to the region, and the Salesians answered the call in 1992. Before 1960, the Pontifical Institute for Foreign Missions began operating in the Wa Hills and some Lahu people became Catholics, according to church records. The United Wa State Army leadership has deemed only churches built between 1989 and 1992 to be legal, as well as banning construction of new churches, and banning outside clerics along with the teaching of religion in local schools. The Wa region is home to several ethnic groups who observe Christianity, Buddhism, animism, spirit worship and Islam. Christians constitute around 30 percent of the estimated 450,000 Wa population.